Gary Melvin Kroll was born on July 8, 1941 in Culver City, California. The big six foot six inch, 220 pound right hander was signed by the Philadelphia Phillie's in 1959. In the low levels of pro ball he was 17-12 with a 2.91 ERA in 1960. The next he year lost 19 games playing with three different teams. In 1962 he rebounded to going 12-2 at A ball Williams port posting a 2.15 ERA. He was promoted to AAA Arkansas by 1963. The Phillie's brought him up in July 1964 debuting in the second game of a double header against the St. Louis Cardinals. After just two games he was traded along with Wayne Graham to the New York Mets for slugger Frank Thomas. He arrived in New York & was given a start that same week on August 2nd. 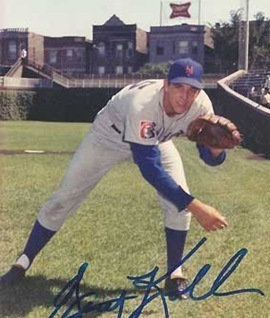 He pitched into the 6th inning, allowing three runs taking a loss to the Chicago Cubs 3-2 at Shea Stadium. He then pitched out of the bullpen, making six relief appearances, going 0-1 with 4.01 ERA. He would only make one more start , it came in Milwaukee against the Braves where he allowed four runs in his last outing of the season. That season in just 24 innings pitched, Kroll allowed a league leading four balks. His most impressive stat was his strike outs, as he struck out 24 batters in 21 innings of work as a Met. 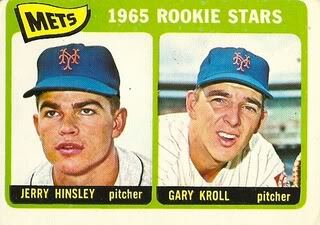 In 1965 he began the year with a seven inning complete game performance beating the San Francisco Giants 7-1 at Shea Stadium. He was 2-0 in April, allowing just three runs over 11 innings of work in three starts. He was back pitching in relief & by June 25th he had fallen to a 3-5 record. But from that point on he found success, going 3-1 with a save through the first week of August. His season was cut short by injury on August 8th. In 32 appearances he went 6-6 with 62 strike outs& 41 walks in 87 innings or work, posting a 4.45 ERA. 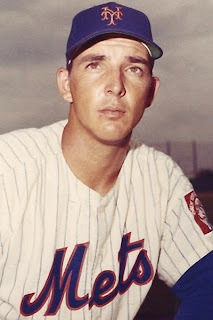 After the season he was traded to the Houston Astros for outfielder John Weekly, who would never play a game for the Mets. 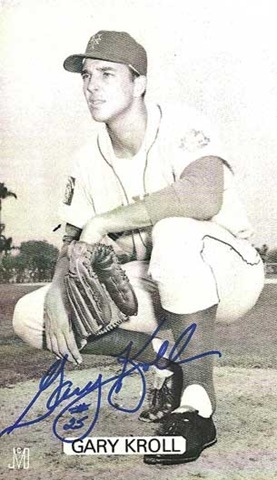 After appearing in just 10 games with Houston he spent the next two seasons in the minor leagues, having his contract purchased by the Cleveland Indians in 1967. In 1969 he pitched in 19 games for the Cleveland Indians posting a 4.13 ERA in 19 games. He finished his four season career at 6-7 with one save, 138 strike outs & 91 walks in 158 innings in 71 games posting a 4.24 ERA.